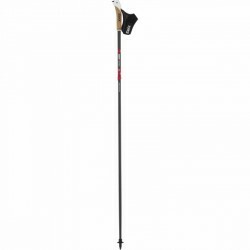 SWIX has used its know how of cross-country poles for the development and manufacturing of the high-performing Swix Nordic Walking pole Sonic Carbon. The SWIX Sonic convinces by an optimal combination of stiffness and strength, which are achieved by the approved SWIX Carbon technology SWIX CT1. Thanks to the use of best materials as for instance 100 % of carbon and natural cork as well as the manufacturing according to the strictest quality requirements, an optimum of weight, strength, stiffness, and swinging is achieved. The SWIX Sonic is equipped with the best SWIX components for the Nordic Walking poles. The SWIX Sonic locking system provides an extremely quick adjusting and fixing of the pole length, even with thick gloves, when its wet and temperatures are cold. 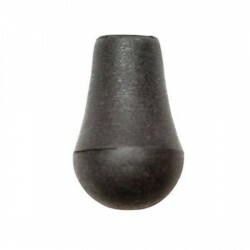 The locking mechanism is made of just three parts and is technically very well-thought out. The grip is hand-made of natural cork and is equipped with a JustClick strap. The cork grip can be comfortably held and guarantees a good static friction even when the hands get wet. The approved JustClick strap allows for an easy removing the connection of strap-pole without taking the hand out of the strap. Thanks to this flexble disc system, tip and disc can be easily exchanged. You can use an appropriate tip and an appropriate disc for every ground. Be inspired to go on exciting Nordic Walking tours with the ideal travelling companion SWIX Sonic ! Capuchons d'asphalte Swix Disponible immédiatement!